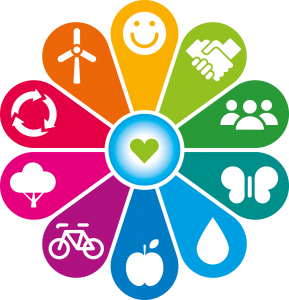 Oxfordshire Greentech is proud to use Bioregional’s One Planet Living principles. One Planet Living is an easy-to-use framework that can help anyone, anywhere to communicate, plan, and deliver sustainability. One Planet Living is all about living within the boundaries of our one planet and home, Earth. If everyone lived like the average European, we would need the resources of three planets – and if we lived like a North American, seven! Evidently, something needs to change. 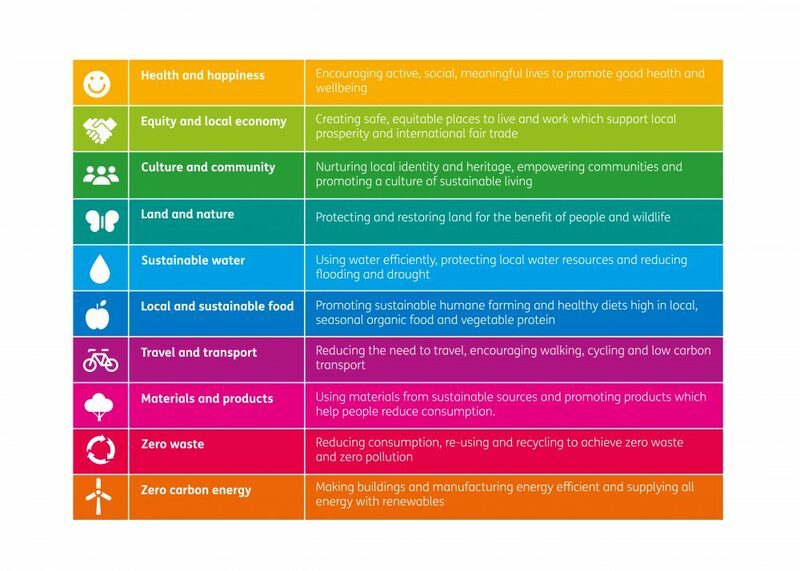 Bioregional have developed a clear and user-friendly framework to respond to this problem, relying on 10 simple principles to target each aspect of sustainable living, ranging from Zero Carbon, to Local and Sustainable Food, to Health and Happiness. These principles map onto the UN’s Sustainable Development Goals and allow for a holistic approach that helps you work greener and live healthier and happier lives. Already, One Planet Living is being implemented across the UK with companies like Kingfisher and B&Q (read more here), but it doesn’t stop there. One Planet Living has stretched to Singita Serengeti wildlife reserve in Tanzania, which is on a journey to becoming a world-leading exemplar of sustainable upmarket tourism. Not limited to organisation-level, One Planet Cities are on the rise, with hubs in Canada, Denmark, South Africa, and the UK. Our very own Oxfordshire is now a One Planet City-Region (read more here). Oxfordshire Greentech is committed to developing an action plan for our organisation based on these 10 principles. For this, we use an intuitive digital platform at www.oneplanet.com where we can map our desired outcomes and add concrete actions and indicators to make sure we hit our targets. If you’d like to find out more about how you can become a One Planet organisation and start developing your own action plan, visit www.oneplanet.com or contact Lewis Knight (senior project manager at Bioregional) or Hannah Scott (project officer at Bioregional). We support a vision of a world in which people enjoy happy, healthy lives within their fair share of the earth’s resources, leaving space for wildlife and wilderness, and encourage you to join us in this vision.